Have you ever noticed how some dishes you order at the Chinese restaurant come out of the kitchen somewhat quickly? This isn't because the food is pre-made (or you hope not); it is due to the fact that many Chinese recipes are quick and easy to make, needing a short amount of time on the stovetop. When cooking at home, the same principle applies. And while some dishes may require a trip to an Asian market, the more basic dishes can be made with ingredients that are available at your local supermarket. The best part is that these recipes are versatile so if you don't have an ingredient, you can just swap it out—or eliminate it completely. If you stock your kitchen with a few basic ingredients found in many Chinese recipes, you will save money by avoiding take-out. The key to a speedy meal is to prep all your ingredients before turning on the wok. What makes a recipe easy? Some, like stir-fries, take only minutes to make. Others, such as soups and stews, take longer but still consist of only a few simple steps. This leaves you lots of free time while the food is simmering. Whether you're new to Chinese cooking or just looking for a recipe that doesn't require too much time in the kitchen, you will find these recipes a breeze. One of the first dishes anyone interested in Chinese cuisine should learn is fried rice. It is the foundation for many recipes and will give you experience with the wok or, if you don't have one, quick cooking in your frying pan. Fried rice is extremely simple and when starting with cooked rice takes just a few minutes to prepare. This recipe requires green onions, eggs, salt and pepper, and soy sauce or oyster sauce. You can add meat and other vegetables if you like and turn this side dish into a quick meal. As you explore Chinese recipes, you will notice that oyster sauce is a common ingredient. It brings the flavour of umami (earthy and rich) to a dish while adding a bit of sweet and salty. You can find it at almost any market that specializes in Asian foods and a bottle will last a very long time. Oyster sauce chicken is a fantastic introduction to this essential ingredient. It's a quick recipe that cooks chicken thighs and basic vegetables in a frying pan which are simmered in a sauce of oyster and soy sauces, wine, and broth; everything is then served over rice. It takes just around 30 minutes and a single pan, so it's perfect for a busy night. Chicken appears in a number of Chinese dishes, but steak also has its place on a Chinese menu (and can easily be substituted for chicken in many recipes). For a dedicated steak recipe that is super easy, look no further than pepper steak. For this recipe, you will simmer the meat for about 30 minutes in a soy broth before adding bell peppers and tomatoes. Add a little cornstarch, some garlic, and baby corn, and let this cook down to a gravy-like consistency. It's fantastic and impressive, but no one will realize what little effort you put into it. Stir-fry is a basic technique used in many Chinese recipes. It's very easy and, essentially, it just means that you're frying food quickly in oil while moving it around in the pan. Learn some stir-fry tips and cook in this style a few times and soon stir-frying will become second nature. This recipe for stir-fried beef with three vegetables is the perfect example of a traditional beef stir-fry. You first marinate the meat in a mixture of soy sauce, rice wine, sesame oil, and cornstarch, then cook the beef and vegetables separately, and finally combine with a homemade sauce and a quick stir-fry. If this recipe seems a bit intimidating since you need to make a marinade and sauce and chop vegetables before even beginning to cook the dish, you might want to practice with a store-bought stir-fry sauce like Kikkoman and a frozen vegetable mix. This will free you up to concentrate on technique rather than ingredients. Then once you get it down this recipe will be the ideal next step. Pork is a common ingredient in Chinese cuisine; you will find it in dumplings, egg rolls, and main dishes. You can also swap out the meat in almost any Chinese stir-fry recipe for pork and it will work beautifully. This orange chicken stir-fry uses pork chops which are easily cut into bite-sized cubes, and taste great in an orange sauce. For this stir-fry recipe, you will first marinate the pork and then stir-fry with vegetables in a soy and orange juice sauce. You may have ordered kung pao chicken from the Chinese take-out restaurant and know it is a tasty dish with a spicy kick. But did you also know that it's really easy to make at home? The signature ingredient in kung pao is the Szechuan peppercorn, a fragrant spice that instead of adding a lot of heat causes a numb feeling in the mouth. Soy sauce, rice wine, and sesame oil are also on the ingredient list, and peanuts or cashews add a nice crunch to the finished dish. In this particular kung pao recipe the chicken is not deep-fried but stir-fried instead, making for a lighter and healthier dish. Steaming is another popular method for preparing Chinese food and it creates a healthy, clean dish. This is where those round bamboo steamers can really come in handy. If you don't have one yet, this recipe is a good excuse to add one to your kitchen cabinet. This flavorful Cantonese steamed chicken is incredibly easy to make. After marinating chicken in a mix of soy sauce, wine, and sesame oil, you place it on the steamer tray along with some mushrooms. Add a little ginger and green onion and let it steam for about 20 minutes. 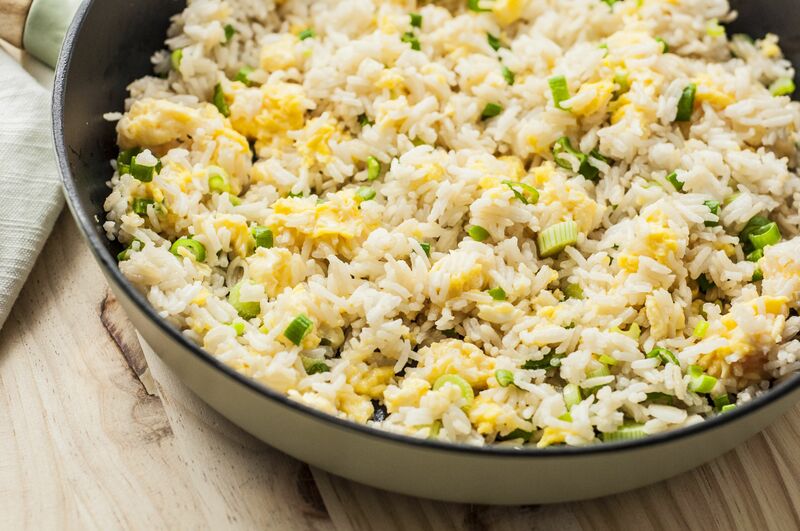 It's fantastic over the fried rice you just learned how to make! It is extremely easy to transform Chinese dishes into a vegetarian's delight. Quite often, you can simply skip the meat, add more vegetables, or even toss in some tofu (stir-fry's one of the best ways to prepare the soybean curd). When you're ready to try a veggie noodle dish using your new stir-fry knowledge, this vegetable chow mein is a delight. It uses bell pepper, onion, zucchini, shiitake mushrooms, ginger, and garlic, along with a sauce of oyster and soy sauces, rice vinegar, and sesame oil. It fries up quickly and the taste will impress everyone at the dinner table. Chow fun is made with ho fun noodles, broad rice noodles that are used quite often in Cantonese cuisine. They add a depth to the dish that thinner noodles and rice just can't bring. To kick off your cooking experiments with the noodle, begin with a basic beef chow fun recipe. This one may not be as authentic as others, but all the flavors are there and it is a perfect introduction to the dish. The flank steak is first marinated and then stir-fried along with black bean sauce, rice noodles, and baby corn, making for a tasty dish with a variety of textures. Mongolian chicken and beef recipes are similar to other recipes with the primary difference being the addition of hoisin sauce. This is sometimes called Chinese barbecue sauce though it tastes nothing like the American version. Hoisin is a spiced sauce of soybean paste and it's an excellent addition to your Chinese cooking because it can be used for dipping as well as stir-fry. This Mongolian chicken is a quick stir-fry that uses a sauce of hoisin, soy, and red wine vinegar along with chicken stock. It's as easy as any other recipe, just a little different and fun to make and eat. The mung bean sprouts add colour and interest, and you'll find it is excellent when served alongside stir-fried noodles.